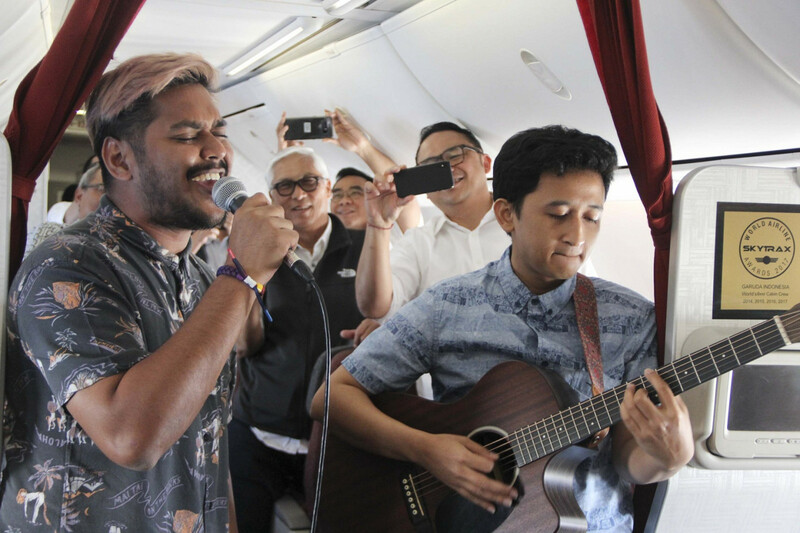 National flag carrier Garuda Indonesia is set to bring back its in-flight live music GIAccoustic on Valentine’s Day. First introduced on Jan. 9, the program allows passengers to watch a series of live acoustic concerts at 35,000 feet, prompting several netizens to criticize the program. For the upcoming GIAccoustic, the airline is set to bring local singers Andien and Tompi on flight GA 4182 from Jakarta to Denpasar. Garuda Indonesia president director Ari Askhara said in a press release that the company hoped the two musicians performance would provide different nuances for passengers who wanted to enjoy a special moment Valentine’s Day. “To ensure passenger comfort, we have made improvements to GIAccoustic, including in the supporting technology and interactive performance concept,” added Ari.